A challenging trail Half Marathon with beautiful scenery and outstanding views in the Surrey Hills. Mainly off-road, multi-terrain, multi-surface. This race is entering its 7th year. It has become a very popular and successful event. It is renowned for a large number of friendly marshals, has frequent water/refreshment stations, free parking, and many other facilities. 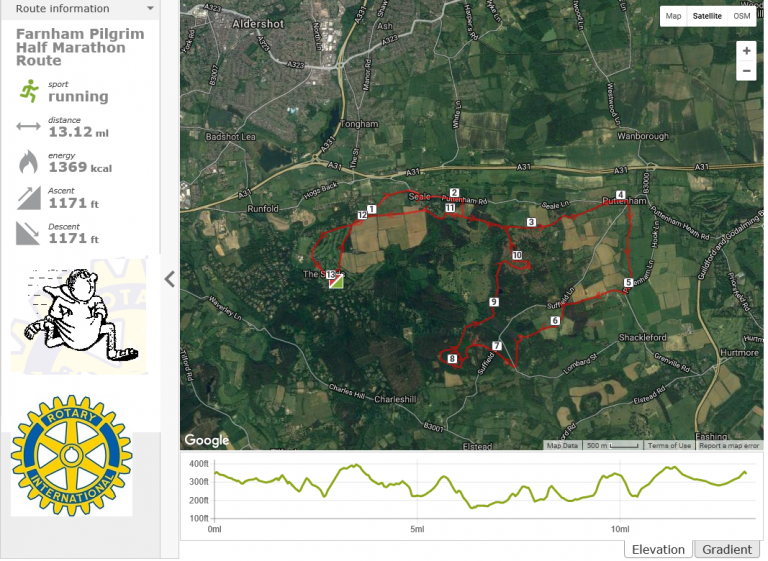 Farnham Pilgrim Half Marathon is possibly one of the toughest, prettiest trail half marathons in the UK. It is set to be one of the must-do events of the year again! The route is challenging and hilly, after all, it is the Surrey Hills! This is no ordinary half marathon. It is a unique bespoke event.